Tesla Motors had its first fatality. The response from Tesla included a very odd statistic. The company estimates that there were 130,000,000 miles driven last year in Tesla vehicles. The implication being that 1 fatality is below the ‘norm’ reported in Department of Transportation statistics. Thus, we can conclude that the driving record for Tesla vehicles is exemplary compared to the general fleet of cars in the US. To be fair, there is evidence that the driver was watching a movie while the car was in ‘auto assist’ mode, which requires full involvement of the driver. So it may have been more of a case of ‘distracted driver’, and nothing to do with the automation of the vehicle. Still, there are troubling questions. How do we prove that a ‘driver-less’ approach to passenger cars is actually safer and will reduce fatalities? What testing can we implement that will help us gain the needed insight? And how do we scale up to keep 214 million drivers safe? The DoT statistics provide a number of interesting insights into passenger vehicles and driving in the USA. For one thing, there are way too many cars. The number of registered cars in the US has increased from 257 million to 275 million from 2011 through 2014. That’s crazy. The number of drivers has increased much more slowly, from 212 million to 214 million. This also means that there were 1.21 cars per driver in 2011 and now there are 1.28 cars per driver. Average mileage driven per vehicle declined slightly from 11,441 to 11,010 miles per vehicle. This would be a natural outcome of there being more cars and not quite as much driving (per person or per vehicle). 40,714 people died in traffic fatalities in 1994. So the fact that the number of deaths has dropped 20% compared to recent values is fantastic. It would appear that Ralph Nader, finally got his wish. The former Presidential candidate ran for office to publicly push transportation safety based on his research and book “Unsafe at Any Speed”. So safety seems to be improving quite a bit. But it seems too easy to claim that computers can prevent accidents. Accidents are not always preventable. That’s why they’re called accidents. Programming to anticipate or avoid accidents, minimize the damage outcome, is the stuff of science fiction. DARPA has been funding autonomous ground vehicles for over 20 years. 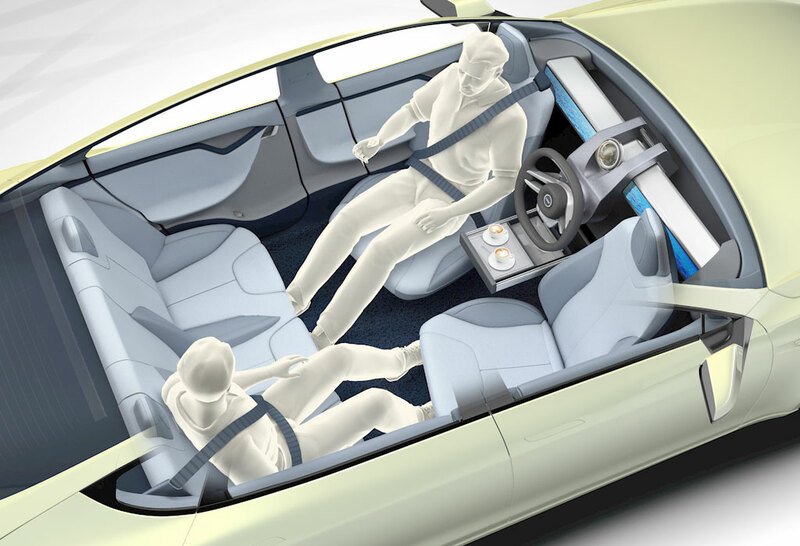 We’re not close to a passenger car solution. In military applications the self driving premise is a way to keep human beings protected and out of harms way. In the consumer world, there are simply too many people involved.